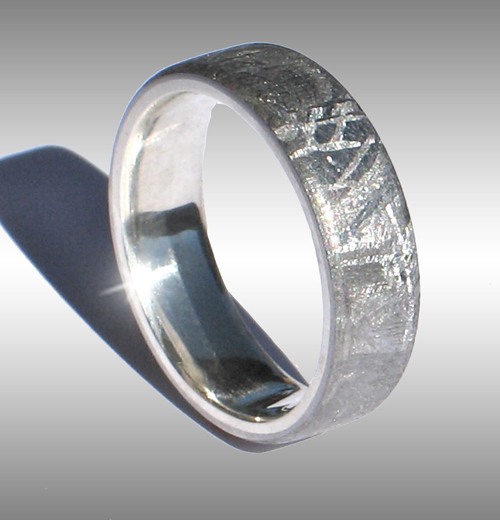 Style #038: Beautiful, flat-topped Gibeon Meteorite Ring with amazing Widmanstatten pattern and Sterling Silver lining. This beautiful ring is shown in a size 8 and 6 mm width. Please enquire for current price.